I have a pretty full plate right now when talking about reading and in my case now, writing. I have at least three Kindle books to read not including the one I am currently reading and a couple paperbacks as well. This is now coupled with the writing of my first novel and I would be hesitant to add anything else for the time being. However when given the chance to beta read a new Marius Mules then hesitancy is forgotten, current read is put on hold and the writing slows for a bit. 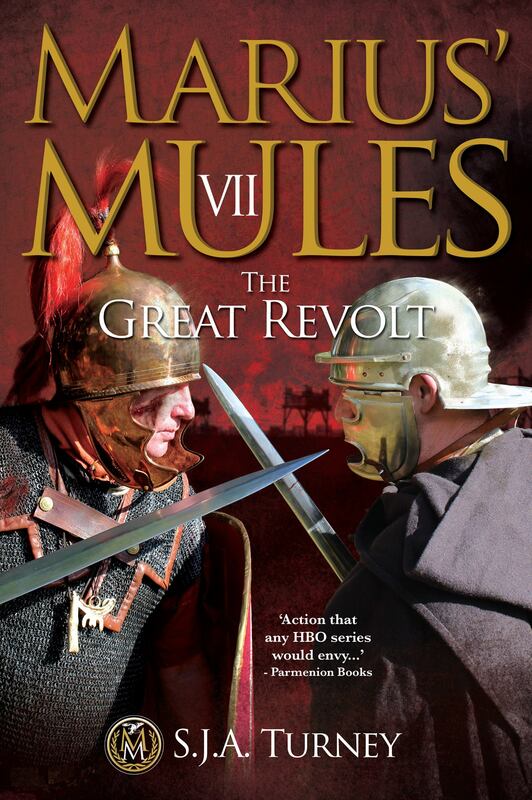 Marius Mules VII – The Great Revolt covers the events of 52 BC, the year that Vercingetorix gathers the tribes of Gaul under his banner and wages war against the Roman Pro-Consul Gaius Julius Caesar for the control of Gaul. Given the many difficult situations Caesar has faced and will face in the future, this revolt I think comes closest to destroying him and in this book the author does a masterful job in portraying the ebb and flow of events. In a cataclysmic, history defining period such as this it is not enough to hear the story from just the Romans and so in a departure from previous Marius Mules volumes we have an in depth telling of the Gaul point of view as well. Character development is once again on form; we see and feel the moods, the doubts, the confidence, the emotional toil of both Gaul and Roman. Fronto our old friend is back to his customary position of fighting in the front ranks but at the same time is beginning to show his age. We also meet some very interesting new characters especially on the Gaul side. But to balance out the additions the war takes its toll and we lose some cherished friends…I think there is a point in every one of the Marius Mules series that I start hurling vulgar laden invective at Mr. Turney for killing off various favorites and that trend continues in number 7…but I must state for the record that I really don’t have a problem with it, after all rule number 1 in war is that people die. 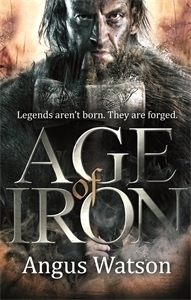 Another strong aspect of this book is the amount of research the author did, walking the ancient battlefields and oppidums of Bibracte, Gorgovina and Alesia to name a few. You get a real feel for the topography, the makeup of the Gaulish oppidum and the circumvalations of Caesar. 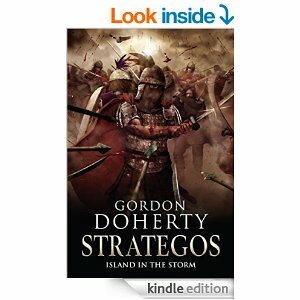 Suffice to say that when I finished #7 I knew I had read an excellent retelling of this make it or break it year for Caesar and am already looking forward to #8 – we still have that pesky group of nobles to deal with; you know; Cato, Brutus Cicero and the big man himself, Pompey Magnus. 5 stars and highest recommendation.